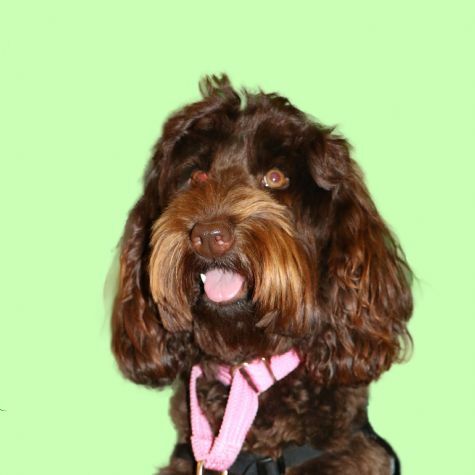 I am a soft, cuddly Australian Labradoodle, and enjoy giving and receiving lots of love. My human began raising me to be a therapy dog from the first day I came home. We joined Love On 4 Paws in October, 2016. We are a great team and love seeing all the smiles we bring to people. We both love being part of Love On 4 Paws!